Make a schedule of your study to complete your whole syllabus. Whatever are you studying in the proper manner? Clear all the concepts from their basics. Solve the number of NEET UG Sample paper in Pune. Always motivate yourself to reach the goal. Make your syllabus completion & score attainment target for yourself. According to that goal, you have to do more hard work for achieving success. At the time of study make a short note. It is helpful for the time of revision. At last time preparation short tricks are important, so we got all the point. While you are making notes then don’t do copy from the book and paste it in your short notes. You note down important formulae, concepts for understanding the purpose. At the time of an exam, you must go through sleepless nights, make sure that you don’t do sacrifice of your sleep but your sleep should be right before the exam. Your sleep will not affect on your study & preparation. Your brain works well when it gets enough rest. There are lots of chances that you might be strong in some subjects and weak in some subjects. So you more focus on weaker areas and work hard on those subjects. There are many topics which are important for NEET EXAM 2017. You can prioritize them based on your interest & timings. In any way, you have to study that topic. The main thing is that your attitude affects on your result. If you have the negative approach in your mind then you can’t score well in the exam. 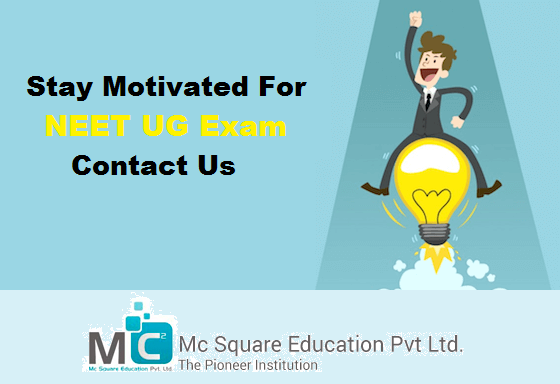 So join NEET UG Exam classes in Pune When you are starting to think in positive attitude manner, you will definitely see the changes in your result.